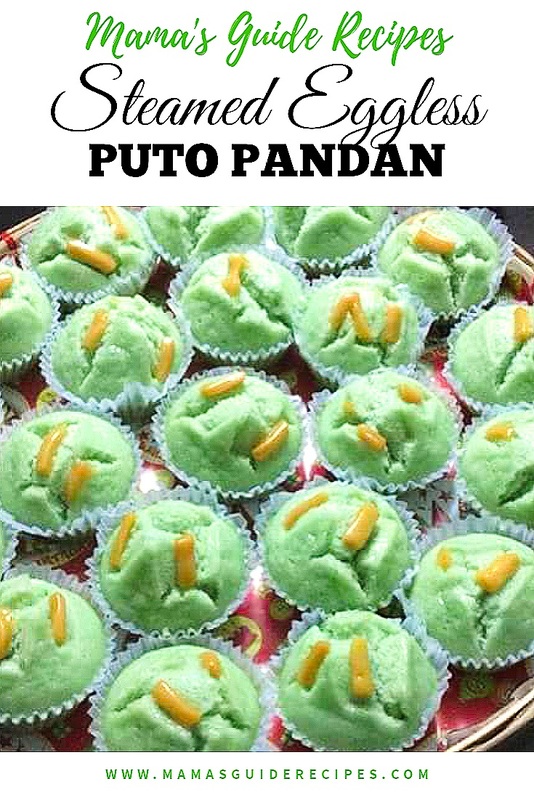 This steamed eggless puto pandan is healthy. Nice and good recipe of puto, no oil, no eggs and its cholesterol free. Happy baking! In another bowl, mix all wet ingredients. Then mix wet to dry ingredients. Pour into greased puto molds or much better if silicon molds. Add cheese on top and let it float in the center of each puto mixture. Make sure to do a toothpick test to know if its already cooked. Toothpick test should come out clean. Never ever assume its cooked even if it looks good outside. The center of the puto might not be fully cooked yet. So always do a toothpick test. Once puto is done, remove from steamer and let it cool first before unmolding it. Serve and enjoy!